​Please keep in mind while reading the following articles that I did not write them. Let it also be clear that there would be very few families in Australia that has not needed some sort of medical intervention to save the life/lives of our loved ones. On a personal note, I have had four surgeries, and certainly two of them have been of obvious benefit. Furthermore, my life was saved on at least one occasion with medical intervention. Nonetheless, the following articles suggest that the advances in Pharmaceuticals and surgery are being overused; to our detriment. Therefore, it is imperative that we do not place undue pressure on doctors to prescribe long term use of pharmaceuticals, or to pressure the surgeon to perform an operation that may be no real benefit. ​"CONFESSIONS OF A SYDNEY SURGEON:"
A leading Sydney surgeon has confessed to performing surgery that doesn't work due to patient pressure and widespread adoption of procedures that have become accepted without enough scrutiny. ​Orthopaedic surgeon Ian Harris, said he had performed "surgery that doesn't work" but says he now performs much less ineffective surgery than he used to. ​"I have operated on people that didn't have anything wrong with them": "In my career, I have done surgery for 'ununited' fractures that have already healed, removed implants that were not causing a problem, fused sore backs and 'scoped' sore knees. I have even re-operated on people with ineffective procedures after the first ineffective procedure was, well, ineffective." 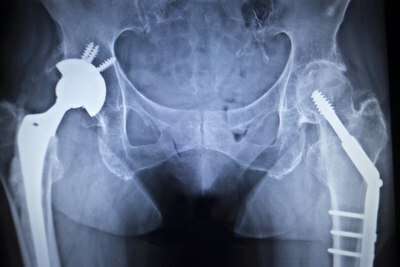 Spinal fusion: Effective for some conditions but often done for degenerative conditions in older patients where the evidence is not that clear, the cost is high and the harms are real. Failure of spine surgery is so common that it has been given its own name: Failed Back Surgery Syndrome. 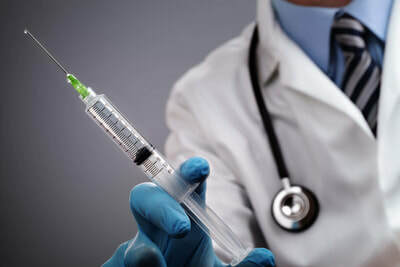 Stem cell injections: Commonly done for knee osteoarthritis and very expensive; the only blinded randomised trial from Australia showed while many patients felt better, they were just as likely to feel better with a placebo injection. Tennis elbow surgery: Another procedure that is in decline. The condition largely gets better over time and surgery doesn't add anything to that process. Cardiac stenting: Having a narrowed blood vessel widened is appealing but doesn't mean a lowered risk of a heart attack. For patients with stable angina, the procedure is no better than medical therapy in preventing major cardiac events. 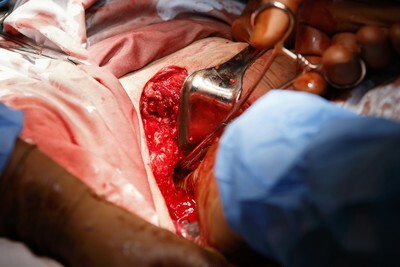 Appendectomy: The possibility of dying from a ruptured appendix is enough for surgeons to recommend this procedure but several studies have shown that antibiotics alone are also effective. The recurrence rate is higher with antibiotics, but the surgical complications are lower. Knee arthroscopy: In Australia most knee arthroscopies are performed in patients aged 50 or older, largely for degenerative conditions, and there is a seven-fold variation in the rate of surgery between regions across the country. 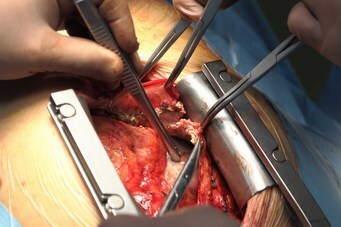 Studies show surgery is no more effective than placebo or non-operative treatment. Rates of knee arthroscopy in NSW have fallen in recent years. Epidural steroid injections: The "go-to" procedure when patients complain of back or leg pain. Studies show no better relief than those given a placebo saline injection. Caesarean section: Some clear reasons to perform it and some grey areas. The rate in Australia is about 1 in 3; 10 years ago it was 1 in 5. In 2010, the World Health Organisation estimated more than 6 million unnecessary C-sections were performed annually, worldwide. Spinal cord stimulators: Devices implanted in the spine to relieve chronic pain. Given the high cost it is reasonable to demand a placebo-controlled trial of their effectiveness but so far none have been done. ​ Speaking from America, Professor Harris said doctors often have a knee-jerk reaction to accusations of over-treatment ,sometimes saying that the procedure works very well in their hands or that they are being accused of misconduct, instead of taking a more questioning approach to their practice. "The problem is that doctors often (unknowingly) rely on biased evidence: what others have taught them, what is common practice, what appears to work, and on studies that fit with their beliefs," he said. "The fear of having someone harmed from a missed opportunity is a strong and emotive driver of over-treatment. So is the belief that non-operative treatment equates with neglect, or no treatment, and so is being sued. "But the decision to operate should be based on the best science, not on the worst-case scenario. If the best evidence tells us that a procedure is not effective, or that the benefits are outweighed by the risks for some patients, then it should not be done." Even if we accept that there is a placebo effect from surgery, he argues in the book that it is unscientific and means that doctors are either deceiving their patients or are deceiving themselves. In a new book, "Surgery, The Ultimate Placebo," he adds: "I have operated on people that didn't have anything wrong with them in the first place. This happens because if a patient complains enough to a surgeon, one of the easiest ways of satisfying them is to operate." DEATH BY MEDICINE - Gary Null, PhD; Carolyn Dean MD, ND; Martin Feldman, MD; Debora Rasio, MD; and Dorothy Smith, PhD. Null and Dean et al 2003, states that natural medicine is under siege, as pharmaceutical company lobbyists urge lawmakers to deprive Americans of the benefits of dietary supplements. Drug-company front groups have launched slanderous media campaigns to discredit the value of healthy lifestyles. The FDA continues to interfere with those who offer natural products that compete with prescription drugs. The Nutrition Institute of America is a nonprofit organization that has sponsored independent research for the past 30 years. To support its bold claim that conventional medicine is America's number-one killer, the Nutritional Institute of America mandated that every "count" in this "indictment" of US medicine be validated by published, peer-reviewed scientific studies. It is not commonly known that more than 700,000 Americans die each year at the hands of government-sanctioned medicine, while the FDA and other government agencies pretend to protect the public by harassing those who offer safe alternatives. 3. Calculations detailed in Unnecessary Surgical Procedures section, from two sources: (13) http://hcup.ahrq.gov/HCUPnet.asp (see Instant Tables: 2001 prerun tables: most common procedures) and (71) US Congressional House Subcommittee Oversight Investigation. Cost and Quality of Health Care: Unnecessary Surgery. Washington, DC: Government Printing Office, 1976. 4. Calculations from four sources, see Unnecessary Hospitalization section: (13) http://hcup.ahrq.gov/HCUPnet.asp (see Instant Tables: 2001 prerun tables: most common diagnoses) and (93) Siu AL, Sonnenberg FA, Manning WG, Goldberg GA, Bloomfield ES, Newhouse JP, Brook RH. Inappropriate use of hospitals in a randomized trial of health insurance plans. NEJM. 1986 Nov 13;315(20):1259-66. and (94) Siu AL, Manning WG, Benjamin B. Patient, provider and hospital characteristics associated with inappropriate hospitalization. Am J Public Health. 1990 Oct;80(10):1253-6. and (95) Eriksen BO, Kristiansen IS, Nord E, Pape JF, Almdahl SM, Hensrud A, Jaeger S. The cost of inappropriate admissions: a study of health benefits and resource utilization in a department of internal medicine. J Intern Med. 1999 Oct;246(4):379-87. These invasive procedures increased by 1500% between the years 2002 - 2007 - Further, these more complex, invasive procedures for lower back pain result in fewer benefits to the patient. PLEASE - no surgery on Friday or on the Weekend. "Compared with Monday, the adjusted odds of death [taking into account case mix] for all elective surgical procedures was 44% higher, and 82% higher, if the procedures were carried out on Friday or at the weekend respectively," according to the team, which was led by Paul Aylin, a clinical reader in epidemiology and public health at Imperial College London. Dangerous: Surgery risks can outweigh benefits. More than one in 10 deaths during or after surgery involved flawed care or serious injury caused by the treatment, a national audit has found. The Australian and New Zealand Audits of Surgical Mortality shows delays in treatment or decisions by surgeons to perform futile surgeries are still the most common problems linked to surgical deaths. [Repeating what was said at the start of this page - Certainly, it is clear from the amount of research being presented over the last 15 years that patients are advised to take more responsibility for their health. If patients pressure doctors into presenting a quick fix to their health complaints, then there is a greater scope for error, culminating in unnecessary medications and surgeries. May I suggest we take a leading from the American Academy of Neurology, which is to pursue all conservative therapies before resorting to surgery. It is almost certain, and in fact understated that the amount of injury and death reported on this page by various Government agencies, and Peer Reviewed Medical Journals is correct. If it was not correct, we can be assured there would be a plethora of lawsuits being brought against these researchers, medical journals and doctors. Nonetheless, it must also be remembered that many of these people that died of mistakes, would have died without treatment.